Another macaroon? Don't mind if I do! 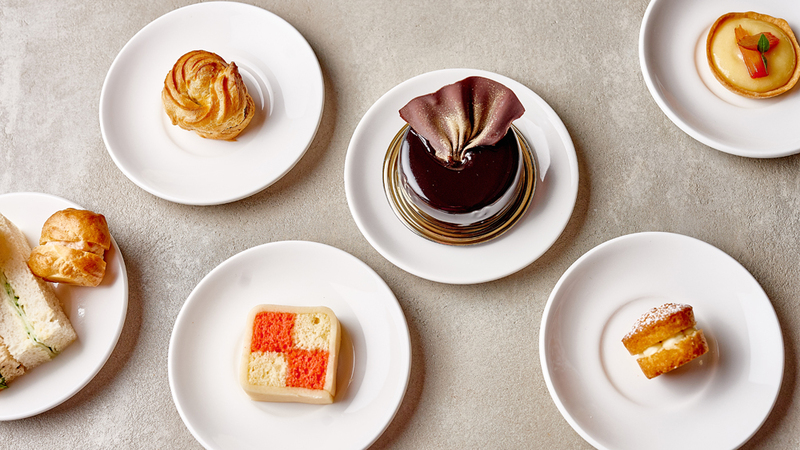 The 33 best afternoon teas as chosen by our in-the-know editors. 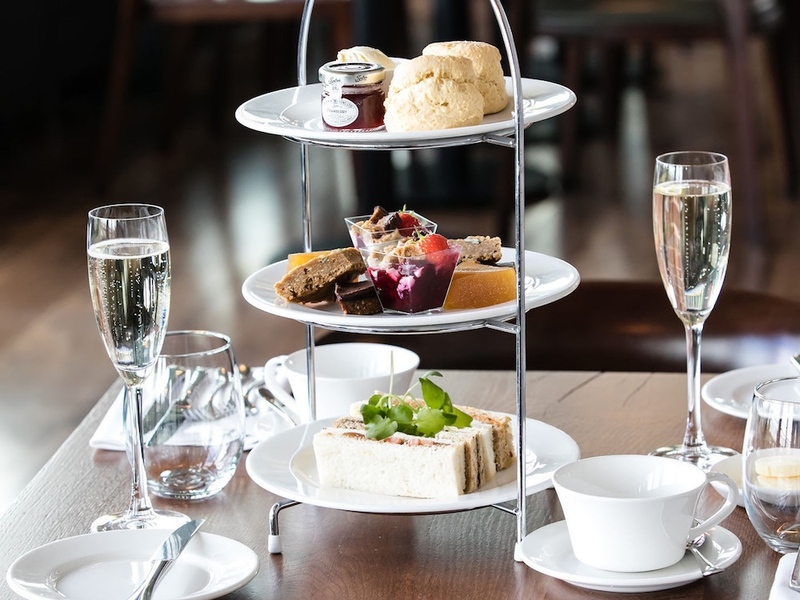 Whisk your mum up, up and away to the Rooftop Restaurant, which boasts fantastic views across the River Avon, where you can not only tuck into a traditional afternoon tea but a vegan style one. Sandwich choices include deliciously nutritious roasted Red pepper and hummus; Cucumber and black pepper or Tomato, sundried tomato puree, basil and olive. Yummy desserts range from Apple meringue pie to Belgium chocolate cake, Vanilla panna cotta with poached rhubarb and Fruit jelly. There’s also Homemade scones with soya cream and Tiptree strawberry jam. All served with Grey’s loose leaf teas or bag tea and coffee. 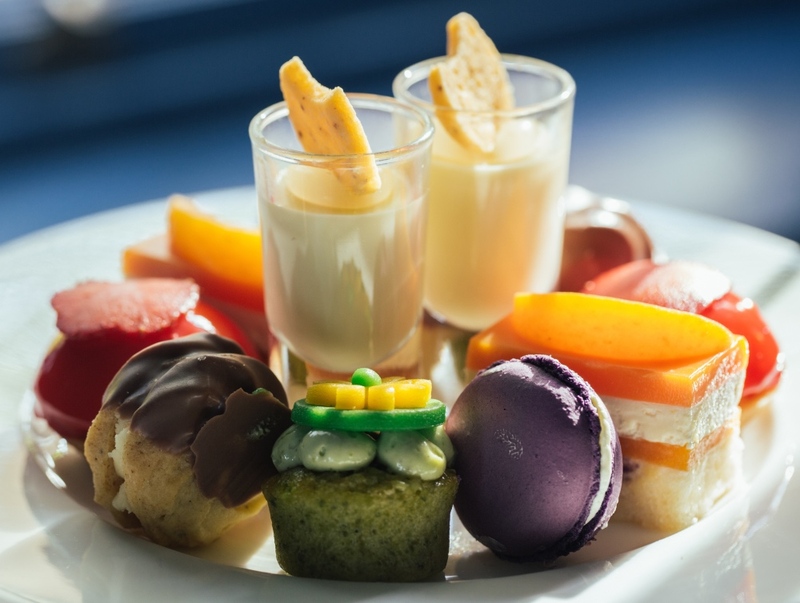 There’s also a Rooftop Junior High Tea menu for under 12s – how cool is that! 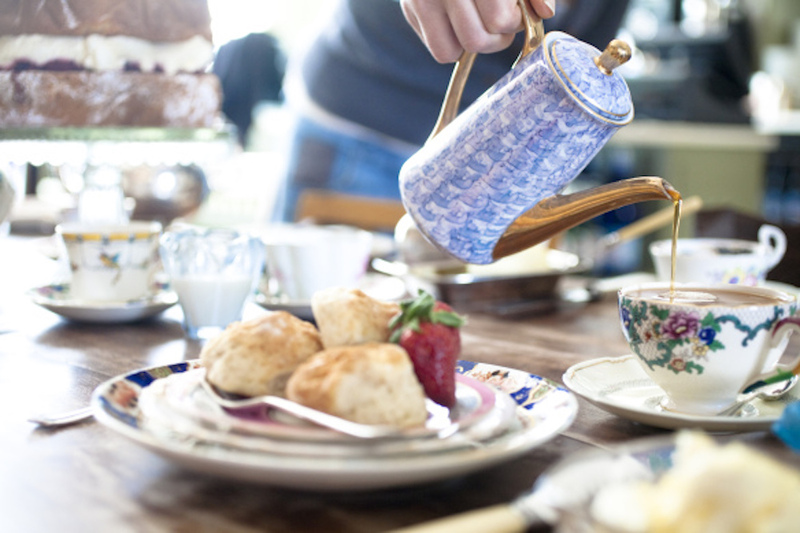 Prosecco, sandwiches and miniature cakes enjoyed in Iris’s Tea Room in the 1930s kitchen at this beautiful National Trust country home, what could be more perfect for a day out with your Mum? Enjoy a day together at 1930s Upton House, visit the Made to Measure Home story and take a stroll in the garden with its narcissus strewn orchard. Tea can be taken at 2pm or 4pm, tickets include entry to the house and gardens, booking essential here. A Mothering Sunday Afternoon Tea is also available at Coughton Court, Packwood House and Baddesley Clinton. The White Horse inn in the heart of the pretty market town Dorking, has been scrubbed, buffed and polished to within an inch of its life after a recent £4m makeover. And it’s come out shining like a new pin, with a new ‘concept’ restaurant, The Dozen, offering a locally-sourced all-day menu including a choice of afternoon and cream teas, with or without Champagne. 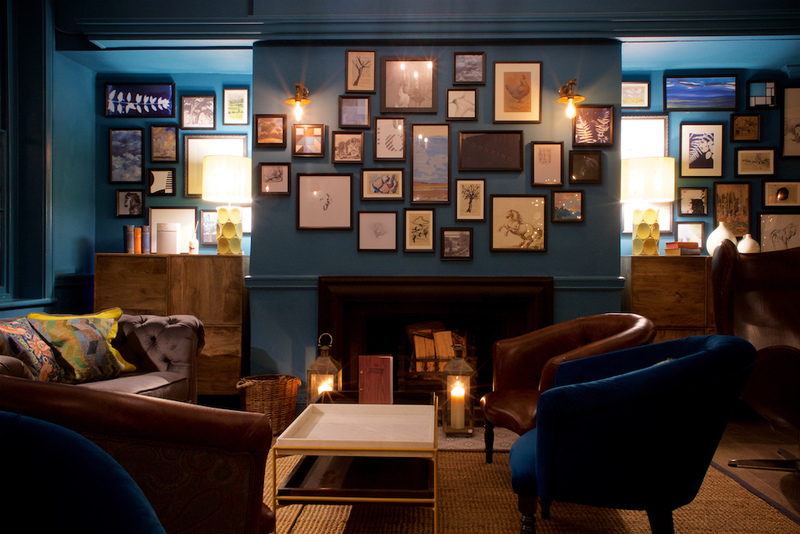 Dorking is renowned for its vintage and antique stores, and The White Horse has 56 elegant rooms – so you could really push the boat out and make a weekend of it. 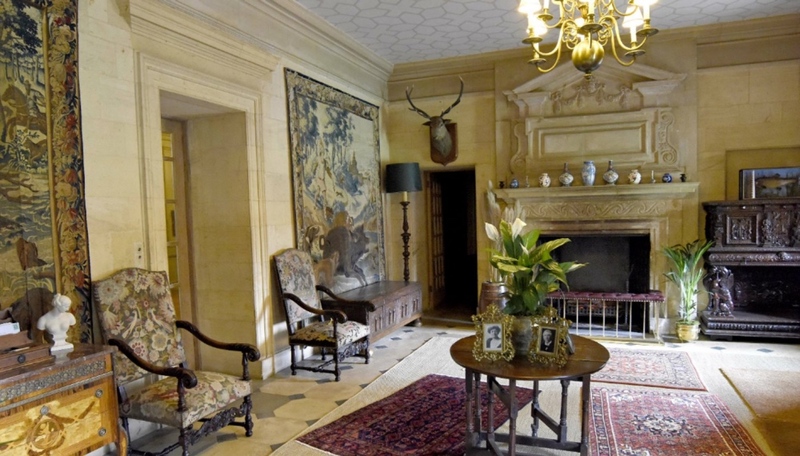 There’s no better place in Wilts to stick your pinkie finger out and snaffle egg and cress sandwiches than the gorgeous Drawing Room at Lucknam Park, an 18th century Palladian mansion set amidst 500 glorious acres of gardens and parkland. With a tea selection to outfox even the Emperor of China (Broken Orange Pekoe, anyone? ), handmade patisseries and homemade jam, this is a proper afternoon tea, as your Granny used to do it. Treat yourself to a splurge in their uber luxurious mega-spa afterwards (plunge pool, thermal cabins, lounge with mixology bar) and, honestly, you’ll never leave this place. More tea, vicar? It would be rude not to when you’re in the duplicitous Vicar of Bray’s former digs – better known as Heston’s Michelin star Hind’s Head. Take afternoon tea with a twist this Mother’s Day, in the elegantly eccentric Royal Lounge where every hour should be cocktail hour. Kick off with a Chase GB gin cocktail (no need to ask twice), followed by a trip down memory lane with tea-smoked salmon on rye bread, Coronation chicken sarnies; fondant fancies, scones and Cherry Bakewell tarts. Or just get stuck into the cocktails, no judgement. Sun 11 Mar, £39 pp. Pinkies perfectly poised, it’s 5-star all the way. 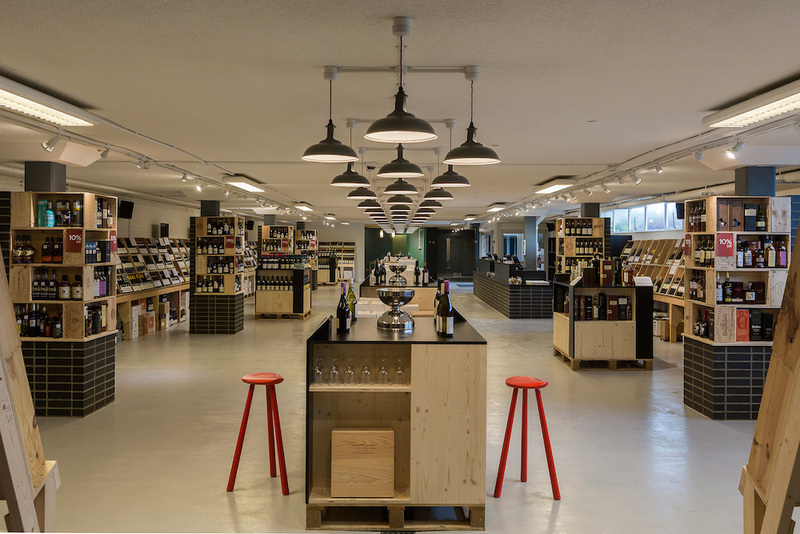 The Vineyard nr Newbury is one of the finest wine hotels in the UK with 30,000 bottles snuggled up in the cellar, 100 of them available by the glass. Woohoo! 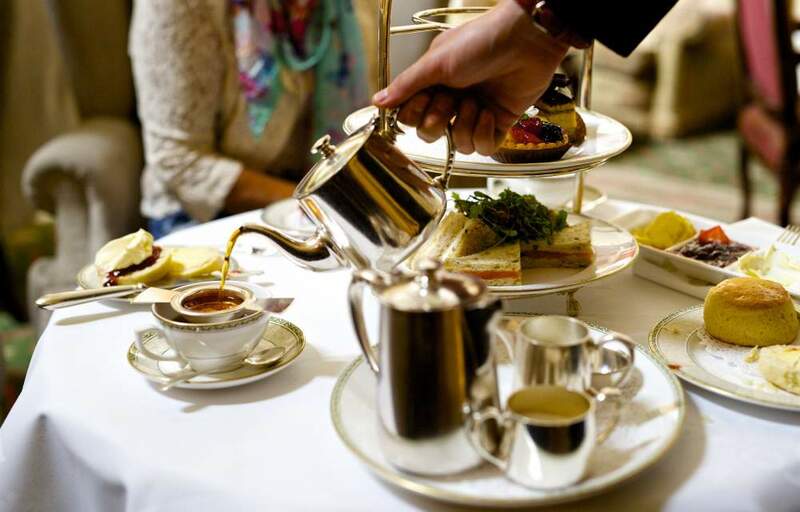 Throw in Michelin standard food and you have a winning combo – and the afternoon tea is legendary. This is the Pastry Chef’s playground, serving exquisite cakes, scones and the neatest finger sarnies ever. Choose the Champagne wine flight (is there anything else?) or a tea flight experience and your drinks will be paired to each course. *Dabs napkin and starts on the 100 glasses of wine. From £29.50pp. 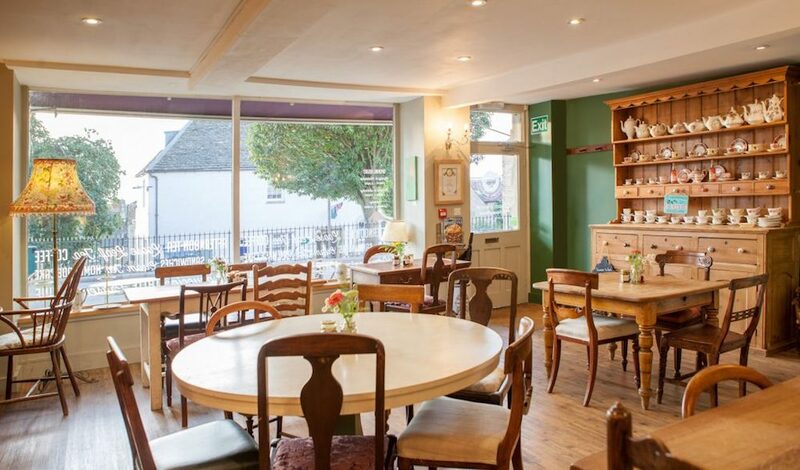 Nothing more natural in the Cotswold than an afternoon tea, and The Tea Set in Chipping Norton is the place to try it, as these guys started out with a catering business specializing in afternoon teas, before moving to a bricks and mortar café! Expect exceptional sandwiches, scones and teas in prettily mis-matched vintage crockery in a café that looks like something from your Aunt Dorris’s kitchen. £16.00 (minimum 2 people). Can’t be bothered to find an afternoon tea? 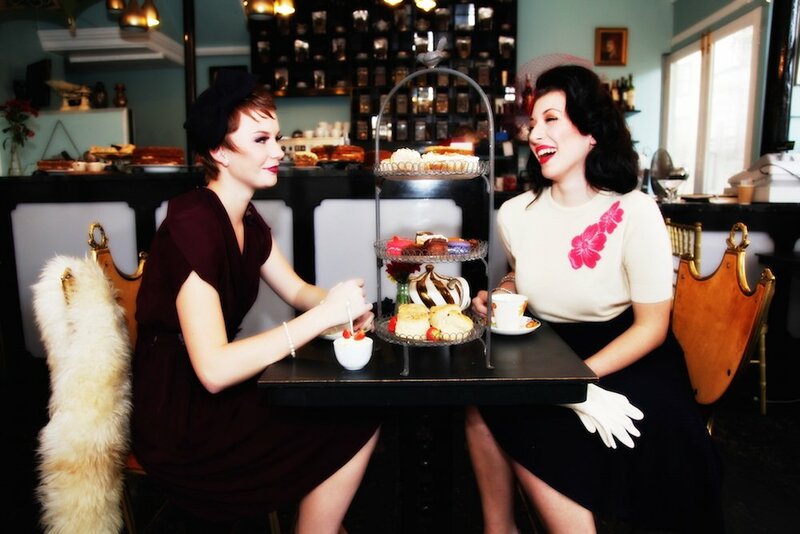 Well never mind, Time For Tea Vintage pop up will come to you. 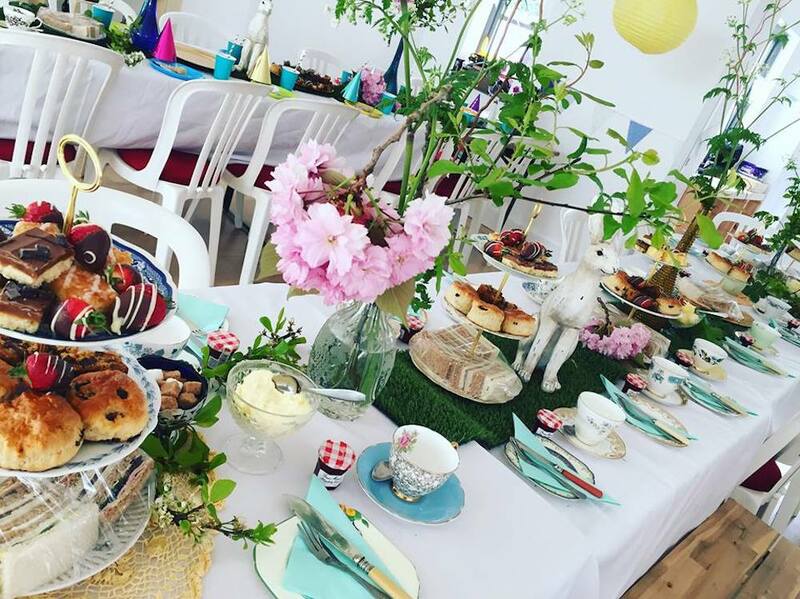 Based in Henley, this company provides quintessential English afternoon teas, cream teas and buffets from 10 to 200 people which can ‘pop up’ at any event space such as garden parties, birthdays, christenings, on board boats, or frankly wherever you fancy. Add full event dressing, from marquees, floral arrangements to props, vintage china and tea ladies to set up, serve and clear down the event. Or if you want to make the cha yourself (if you’ve, like, taken complete leave of your senses) then Time for Tea can provide a china hire only service from £18.00 per head. This grand manor house, built in the 1700s with later additions, is found not in Eynsham but in North Leigh, on the A4095 between Witney and Woodstock. 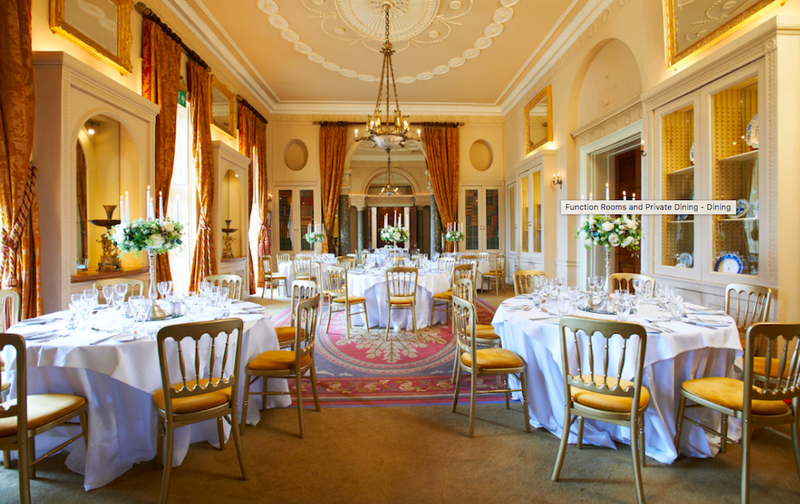 A three star venue in grounds of 3,000 acres, and superpopular locally for weddings, you’ll find afternoon tea served in the grandeur of the main hall or on the southwest-facing champagne terrace in summer – £22.50 without champagne or add £7 to the bill for the sparkly stuff. 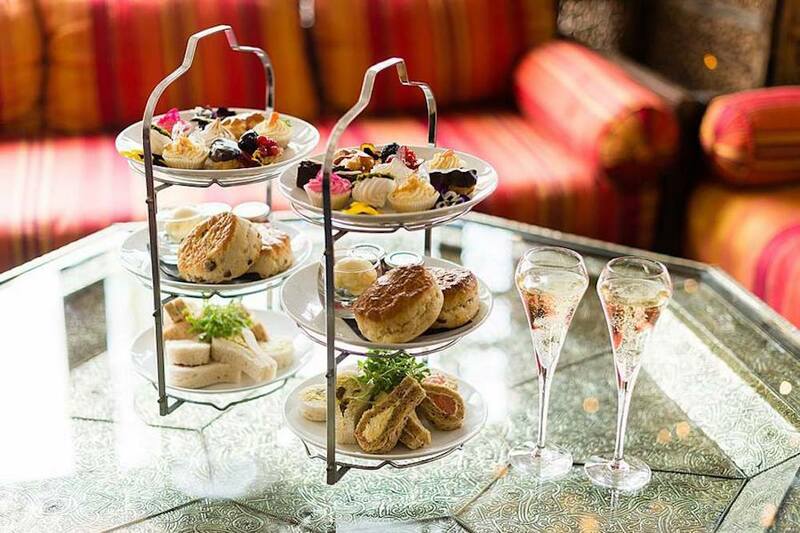 Hmmm … flute or flight of Tattinger with your afternoon tea? While you ponder that one, let me tempt you with the menus (three, one vegetarian, plus a kids’ version) involving fancy finger sandwiches, scoff-in-one savouries, pastries, sweet delights – like Kaffir lime leaf panna cotta with Bath Gin gel and juniper crescent – scones and Bath buns (natch). Lap it all up amidst the Georgian grandeur and gardens of this 5-star hotel on Bath’s famous crescent. 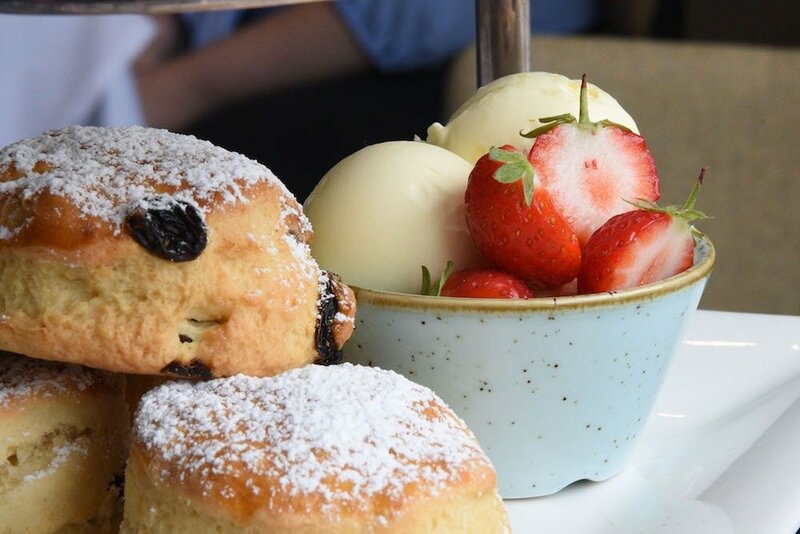 At £37.50 per person (more with the booze), it’s not the cheapest afternoon tea around but so, so worth it. On a sunny day you’re not going to find a more idyllic place to have a scrummy afternoon tea than in the gardens of this old Somerset manor house … in a hidden corner, on a rug by the riverside, under a tree. 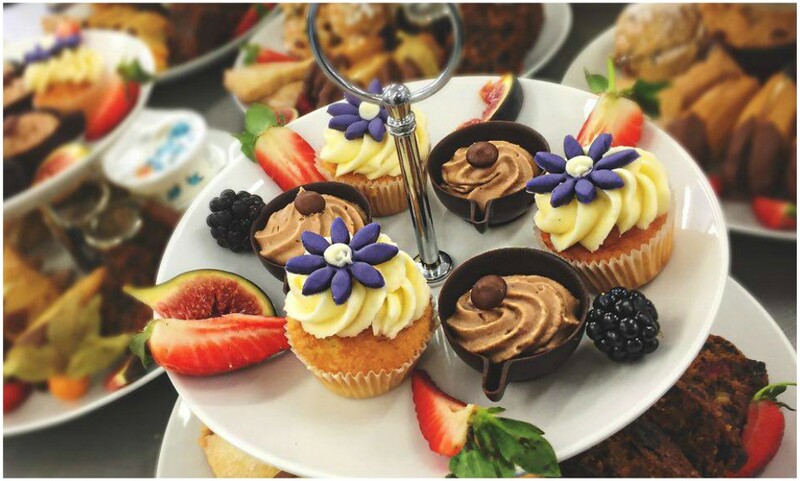 Traditional and homemade – scones with organic jam and thick, thick cream; lemon drizzle, orange and almond, chocolate fudge, sticky ginger cakes – and with teas from Assam to Zingy Purple Berries. Just up the road, in a parallel universe, Bruton’s smattering of cool restaurants, boutique B&Bs, shops and the Hauser & Wirth international art gallery can wait. There’s a real charm and buzz about Juliets. Key ingredients are super tasty food, healthy smoothies, cakes and pastries to die for… Add in a loyalty with the locals (it is, as all good cafés should be, at the heart of the local community) – no wonder you voted it this year’s Best Café in Kent in the Muddy Stiletto Awards. 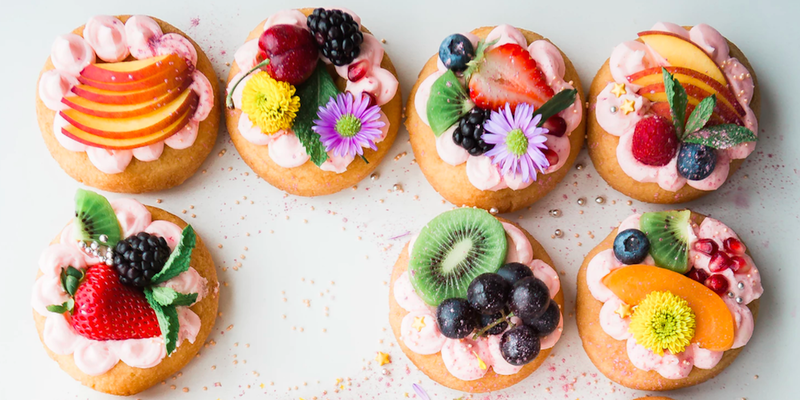 There’s a wonderful Mother’s Day menu with everything from finger sandwiches and mini cakes to pink rose bellinis. 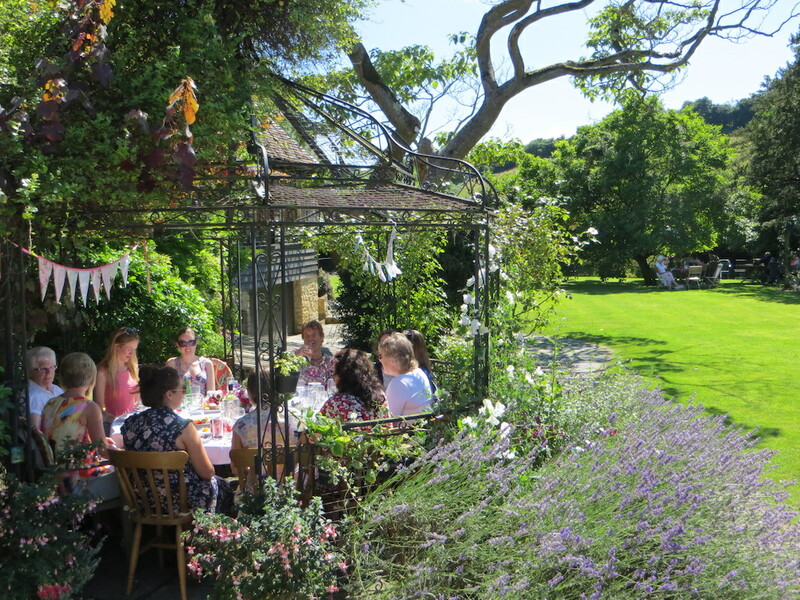 A picturesque venue, often used for weddings, the Secret Garden is a hidden gem specialising in a variety of afternoon teas to suit everyone’s taste buds – including sweet or savoury options. Book for Mother’s Day or one of their popular Afternoon Tea Parties whether for a birthday, hen or baby shower. All served on vintage china in the Glass House, Chapel or Gardens. Budge up and pass me a pastry, please. Channel fabulous vintage glamour at Metro Deco, in Kemptown, Brighton; a 1930s Parisian-style salon with the odd kitsch leopard print armchair. Afternoon teas include macaroons and marshmallows from top local suppliers. There’s a range of specialist teas, or add a bit of ooh la la with Prosecco, artisan gins or cocktails with names like Shady Lady. Set yourself up for a day of fun by the sea with the Breakfast Club tea for groups, featuring bagels, croissants and mimosas. There are heaps of additions possible for stylish hens, from treasure hunts to vintage hairdressing. Oh, and it’s good to know your chien is very welcome. 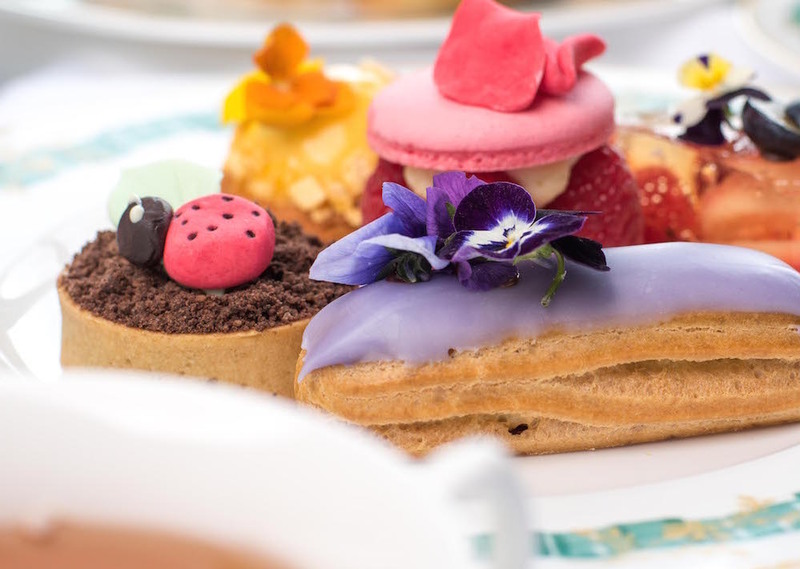 If you want to go super-traditional with your special tea, there’s no better Sussex spot than The Grand on Eastbourne’s seafront. Feel like Agatha Christie’s just left the palatial building as you tuck into your dainty sandwiches, scones and fresh pastries. Opt for the Great Hall lounge or the terrace; tea or champagne. There’s even a children’s version – perfect for family celebrations. On the last Sunday of most months a special Grand Afternoon Tea is accompanied by the Palm Court Strings Orchestra. Look out too for fun twists on the tea to accompany the town’s major Eastbourne International tennis championship in summer. 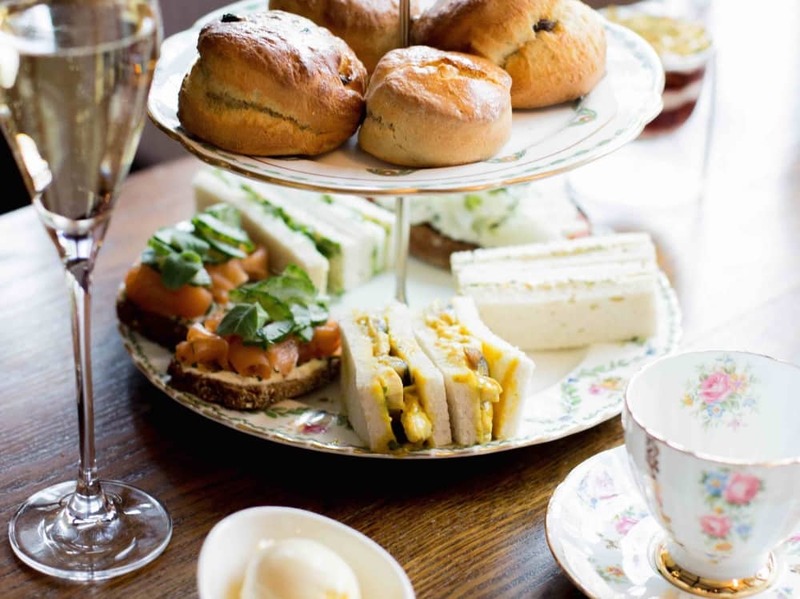 Highgate House lets you live like ladies with their 5-star Afternoon Tea, the free glass of sparkly sets you off for an elegant and sophisticated experience. With the choice of outside dining on their beautiful front lawn or inside the The Chudley Room (if it’s a bit nippy outside) when you can enjoy the views of the Glorious Northamptonshire countryside. Feel posh and embrace the best of British with their afternoon tea, served in china on the best white cotton tablecloth. 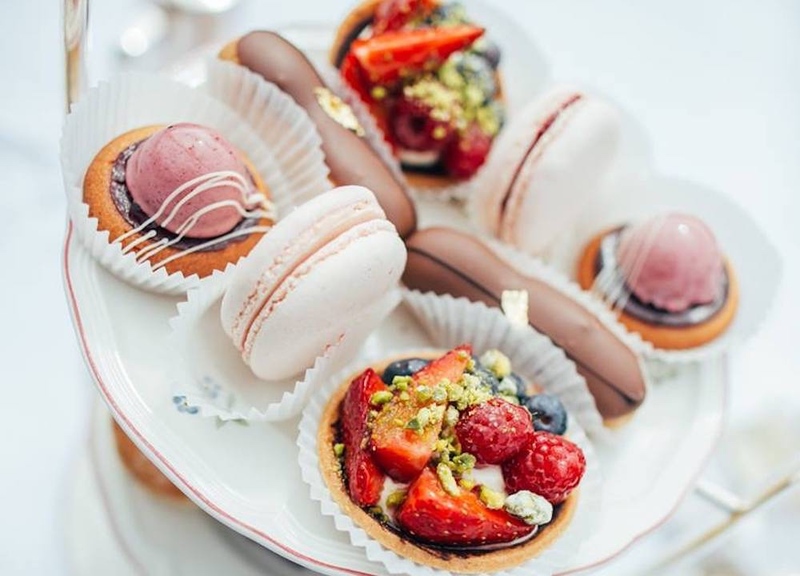 They tick every box when it comes to the food; crustless fresh finger sandwiches with a selection of fillings, alongside the macaroons, and of course the freshly baked cakes. 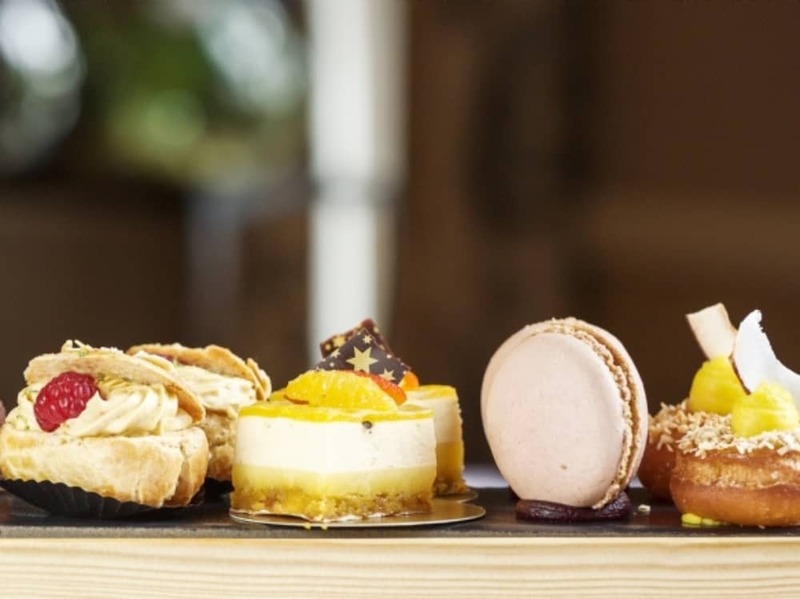 This sparkling afternoon tea is £26 per person, it may not be as cheap as you’d hoped but the quantity and quality really make this a memorable trip. If you just want to stop by for a simple scone, it’ll only cost you £6.50 so you can still enjoy this luscious place at a fraction of the price. The 300 year-old Salutation Inn sits regally in the heart of easy-on-the-eye Topsham, at the head of the Exe Estuary; and, frankly, no-one embraces the rituals of afternoon tea quite like this place. 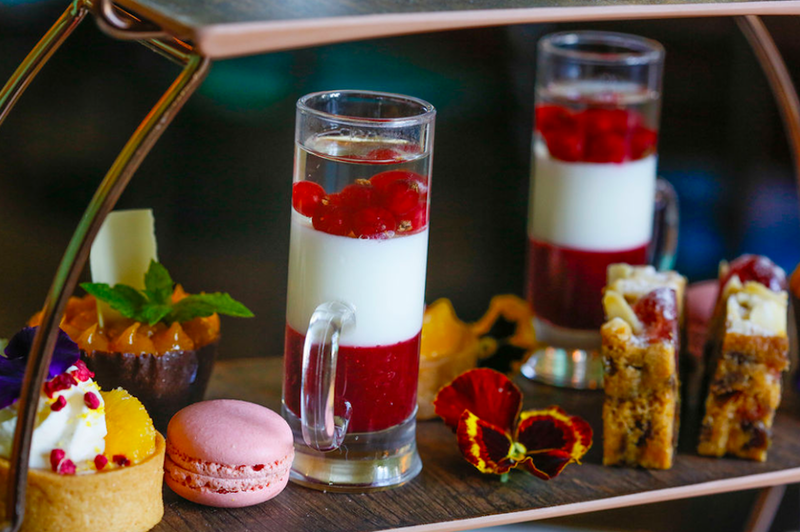 Think English splendour, the tinkling of silver tea spoons and the pop of a glass of bubbly, as the tiers of decadence are presented before you in the GlassHouse. Just look at those little patisserie treats sitting atop buttery scones; just add a massive dollop of homemade jam and Devonshire clotted cream and down the cake hole they go. Every. Last. Crumb. Served daily 12 – 4.30pm, full afternoon tea £16; add bubbly from £24.00. Ohhhhh. You want the full, country house experience and a leisurely stroll in the grounds to work up an appetite (or walk it all off)? Well, why didn’t you say? 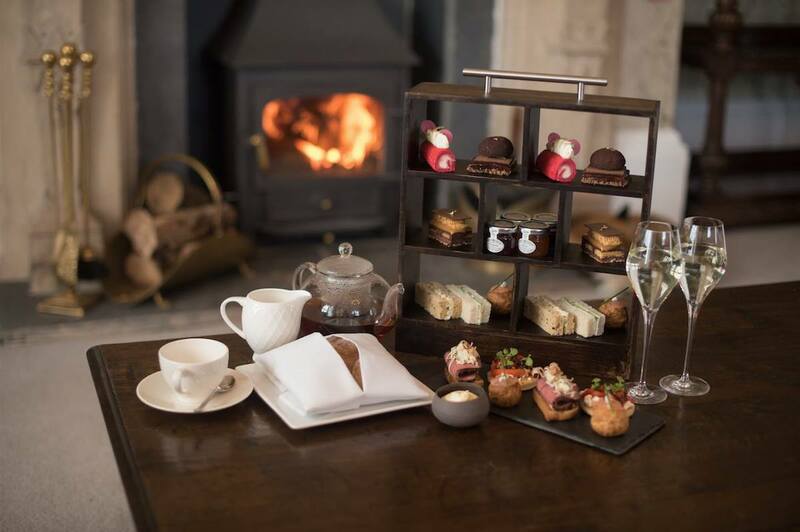 In that case, Paschoe House situated right on the Two Moors Way has a table reserved in your name; a superb mix of traditional elegance, style and a seriously scoffable and oh-so-pretty afternoon tea to boot. Upgrade to champagne in front of a roaring fire, or go for a quirky twist with a tea-infused cocktail. It’s served in a teapot, so who’s going to know you’ve given the Earl Grey a miss? 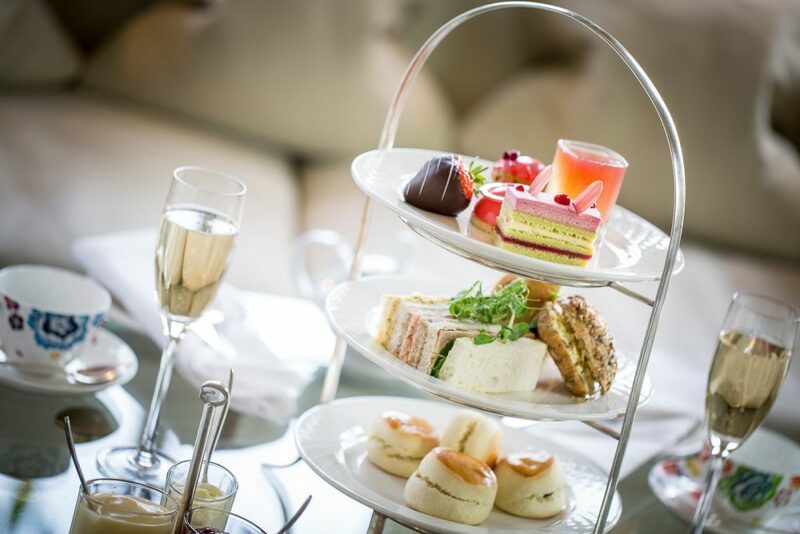 Traditional afternoon tea £29.50, upgrade to champagne or a cocktail twist £40. 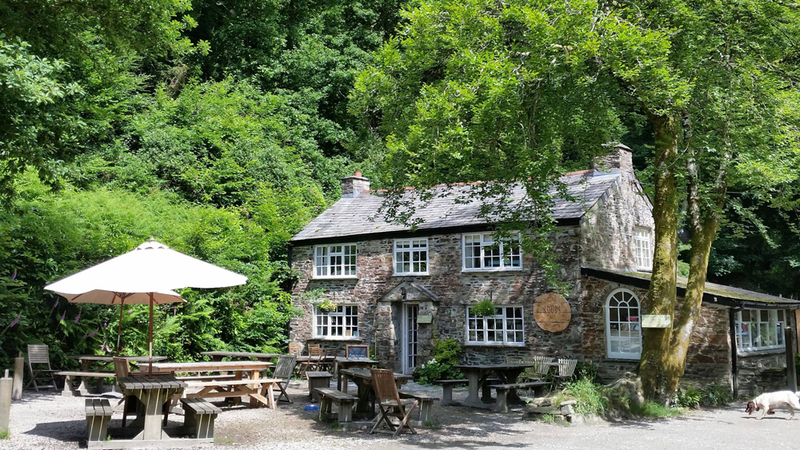 On the cheaper – but no less charming – end of the afternoon tea spectrum, is a rustic, fairy-tale café in Cardinham Woods, near Bodmin. Woods Café is my scone-scoffing destination of choice and perfect, for those with kids and dogs in tow. There are beautiful woodland walks if you feel the need to earn your treats or you can make a beeline straight for the café’s impressive cake counter. In addition to a proper Cornish Cream Tea, with plenty of jam and cream and a pot of Tregothnan’s finest, there is a savoury option with cheese scones, cream cheese, chutney and Davidstow cheddar. Cornish Cream Tea £6.75/ Savoury Cream Tea £7.25. About as Crazy as genteel Beaconsfield can cope with, with its opulent velvets, superglam mirrors and huge sweeping decadent bar. Those who frequent the Crazy Bear for its cocktails might be interested to know that its sweeter, more innocent self serves traditional ‘tear drop’ sandwiches, tea cakes, scones and pots of tea in the English restaurant from Sun-Thurs 12pm-7pm or Fri-Sat 12pm-5pm for £29.50 per person. Add a tenner for a glass of champagne to wash it down with. 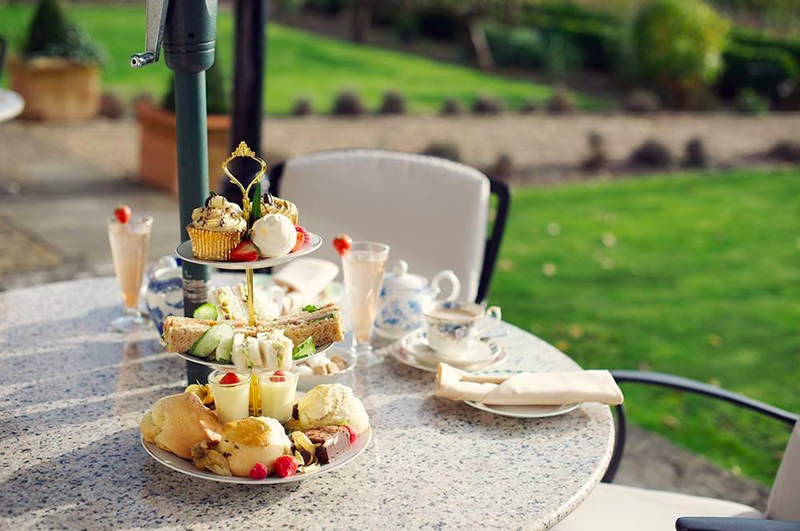 One of the best afternoon teas in the biz, expect delicately hand-made sandwiches, cakes and scones with clotted cream, as well as a wide range of teas and coffees in the Orangery of this five star hotel with its floor-to-ceiling windows. 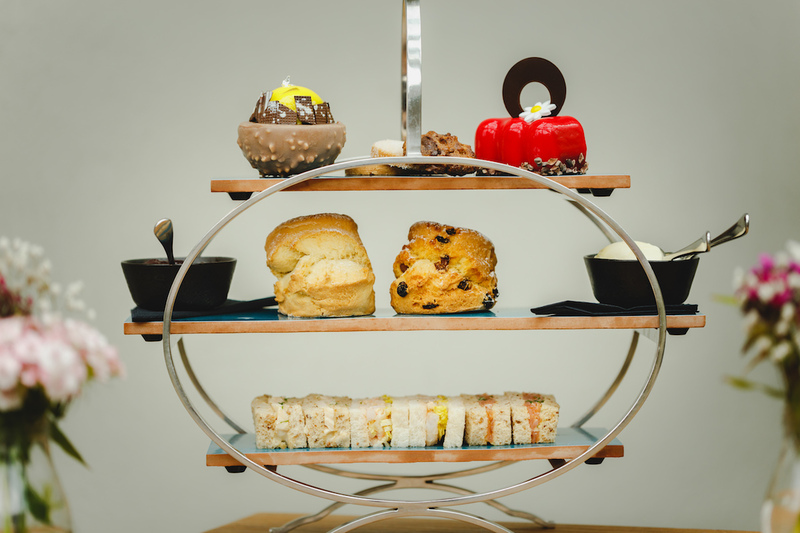 There are traditional English afternoon teas, champagne versions or even a ‘chocolate afternoon tea’ (£40, think raisin and chocolate chip scones). A big calling card here is the ‘little stars’ afternoon tea for kids with cupcakes and teddy bear biscuits (£13.50). 2.30pm and 5.30pm Monday – Sunday. There’s something zingily upbeat about The Grove. It’s also immensely relaxing: fantastic service, attention to detail, stunning gardens and rooms with original modern and art and French and English antiques. It’s the perfect setting for a perfect afternoon tea. Choose between four lounges or the library at the heart of the mansion. Kick off with a glass of Ayala Brut NV; then move on to tea: Fine Yellow China or Matcha Horai? Yummy sandwiches, stylish and delicious cakes and of course warm scones with jam or or lemon curd. Younger guests love it here – loads of space to run around in (this is probably better outside) and then they can settle down with a mocktail and their very own afternoon tea menu. 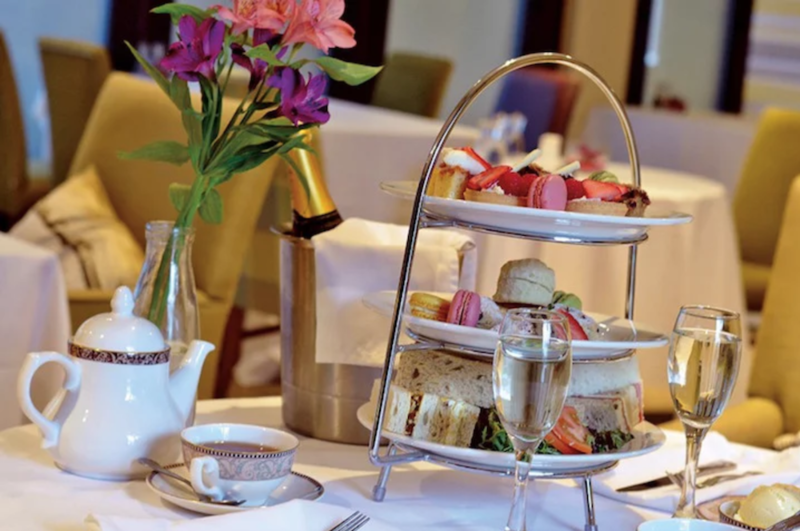 This über pretty Cotswold market town which has one of England’s most elegant terraced high streets has afternoon tea written all over it – and the Cotswold House Hotel & Spa sitting in majestic Georgian splendour is the place to enjoy it. The fine dining restaurant, Fig, is stunning and looks like the sort of place Jane Austen might have stuck her pinkie finger out. The tea menu is something else – nutty chocolate Assam anyone? – and there’s fizz on offer too if you’re that way inclined. And the food? 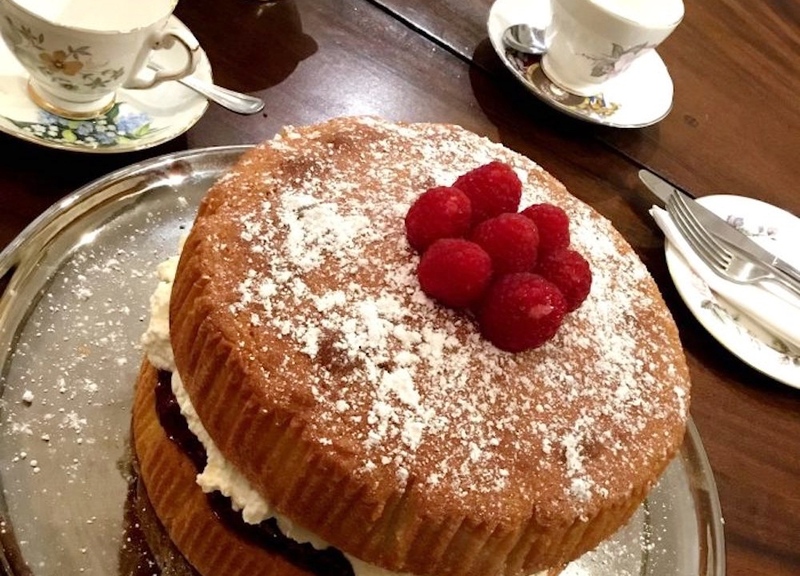 The full Monty my friend – freshly baked scones, clotted cream, strawberry jam, homemade cakes, fancies, finger sandwiches… mothers will be in seventh heaven. I was once lucky enough to be treated to afternoon tea at this chichi Cheltenham establishment, and while the inside of the hotel is all about fabulously cool interiors and designer décor, the Victorian conservatory where tea is taken retains a days of the Raj nostalgia about it, with tiled floors, wicker chairs and luscious foliage. 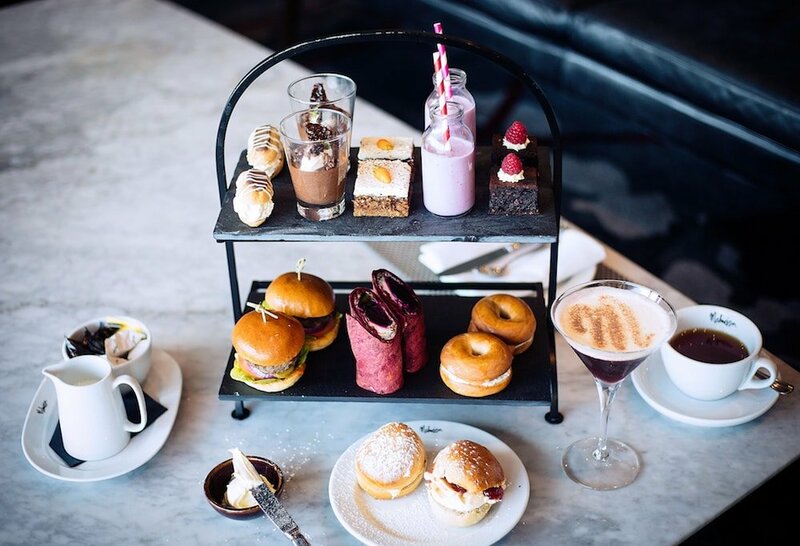 For ‘the louche and the vivacious’ (stand up ladies), there’s a cocktail afternoon tea menu, with delights such as Black Forest Martinis to accompany your classic cream tea or Malmaison’s twist on the repast, which includes smoked salmon and cream cheese bagels and Valhrona chocolate mousse. Yum! It’s Mothers Day, it’s time to pull out the stops and let your mamma taste some of the world’s finest fizz, including Louis Roederer Champagne & Brut Premier, with BBR: the UK’s oldest wine merchant and a Muddy Award winner to boot. To book a place call 01256 247 933. If it’s traditional you want, then you really can’t get much better than the Stately Home idyll that is Chewton Glen. Expect a glass of fizz on arrival followed by a super-scrummy, English afternoon tea served buffet-style in the stunning Lake Suite (full review here). Psst… there’s also a free glass of fizz for mums and daughters visiting the spa during March. 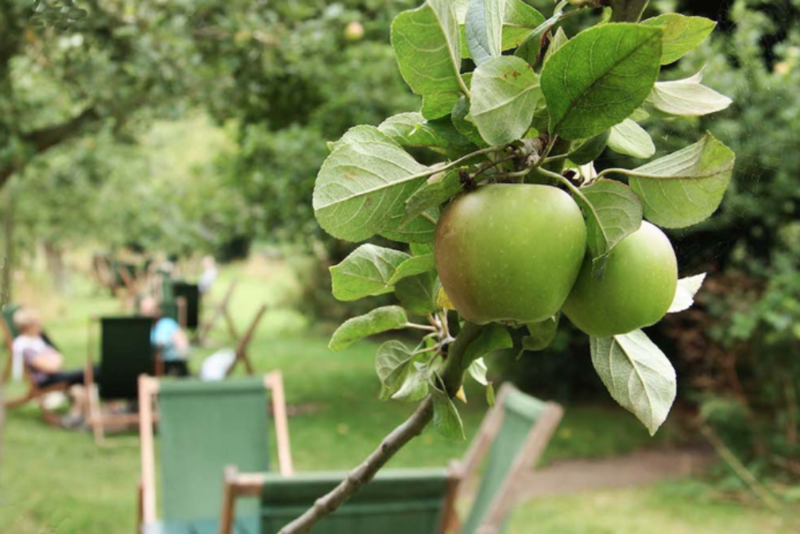 Mention The Orchard Tea Gardens and hazy summer days, reclining deck chairs and a cream tea spring to mind. There are some small tweaks happening at the gardens but nothing too substantial to distract from the unique feel about this place that’s difficult to put your finger on. It’s rustic and traditional with the restaurant being in the old part of the pavilion building. If you’re into modern and contemporary then you’ll walk straight out but it has a tranquility and hint of a bygone era that is appealing. If you haven’t been to The Orchard before, the clues in the title – there’s heaps of space to boot the kids out to when they start giving you a migraine. Enjoy a walk through the Grantchester Meadows to work off those calorific scones. 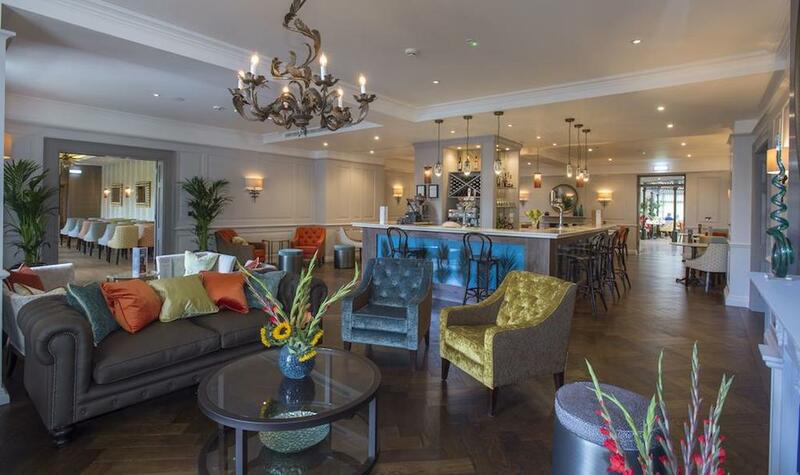 Set in the centre of Cambridge opposite Parker’s Piece the Gonville Hotel offers peace and tranquility away from the hustle and bustle of city life. A contemporary and light atrium brasserie and bar with comfy chairs will encourage you to get our pinky fingers out and enter the magical world of doll sized cakes, crustless sarnies and mahoosive scones, trust me I’ve tried one (or two!). Better still there is parking at the hotel, not easy to find in this traffic-choked city.